The current state of real estate has it’s challenges, although what industry or profession doesn’t? On this episode of #OfficeHours, Chris Donaldson and special guest Stephanie Shaw are not only going to tell you what they are but also offer solutions on how we can fix them. This show is sure to be informative and also get real estate agents to think, so buckle up and join us for the next episode of #OfficeHours. 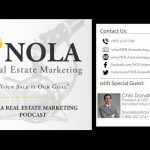 Chris Donaldson is a real estate trainer, speaker, entrepreneur, and real estate agent just like you. 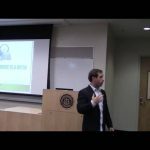 Starting into the real estate business in college, he quickly transitioned and became one of the youngest certified real estate instructors ever. 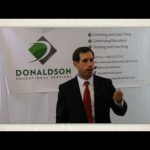 Now as the CEO of Donaldson Educational Services his daily mission is to make YOUR life and career better. #OfficeHours is a way of giving back for Chris, to offer value to you and a solid home on the internet where you can find actionable and reasonable real estate and business advice. Where else can you find a LIVE Q&A show and have your specific questions answered?! This show is for you. 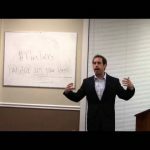 One Response to "What’s Wrong & How We Would Fix It – A Real Estate Manifesto | #OfficeHours 12"
Welcome To Chris Talks On YouTube! 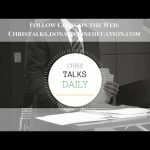 Chris Talks Daily Episode 001 – Why Attitude Matters! !